Prime Minister Netanyahu criticized following decision to raise VAT, cut budgets for government ministries. Prime Minister Binyamin Netanyahu was criticized by opposition parties on Tuesday, following an announcement about new economic measures. The Globes financial newspaper reported that under the new measures, VAT will rise by 1% or even more. 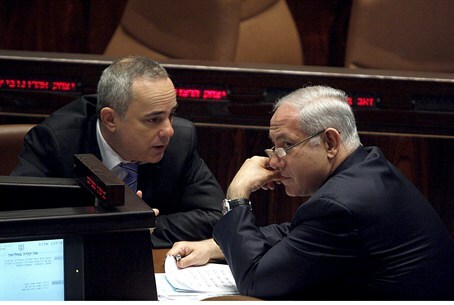 According to the report, Netanyahu and Finance Minister Yuval Steinitz intend to bring the proposal to the cabinet on Monday. Globes noted that each 1% hike in VAT will enrich the government coffers by 4 billion shekels in revenues. The report added that the cabinet will also be asked to make an across-the-board cut for government ministries totaling 700 million shekels. Government sources in Jerusalem told Globes that the rise in VAT is only a first step decided upon by Netanyahu as part of a comprehensive plan to raise taxes. The government deficit in 2013 is expected to reach 58 billion shekels, compared with the target of 30 billion shekels and the government must formulate an overall plan of cuts, tax hikes and ministry budget cuts to reach this target. More than this, the report noted, even in 2012 the deficit target, which was originally 2% of GDP, or 20 billion shekels, is expected to be exceeded and to be closer to 40 billion shekels. Therefore, Netanyahu has adopted the Budget Department's proposal and already decided to implement the required action to prevent Israel sliding into a financial crisis as has happened in countries like Spain and Greece where fiscal credibility has been lost. Sources told Globes that there will be no cuts affecting pensions for the elderly, disabled and Holocaust survivors. MK Dov Henin (Hadash) criticized Netanyahu, saying, “Instead of cutting where necessary, they’re cutting from welfare, housing, health and education. Instead of focusing on taxing the rich, they are increasing the VAT, which hurts the weaker sectors of society too, widening the gap. “Netanyahu has proved again that he didn’t learn anything from the social protest,” Henin concluded.